Remarks:Colour Photographs, Map, Acknowledgments, Bibliography and Appendix. In the eleventh century a Bonpo master named Do ‘phags Yon tan rgyal mtshan established a hermitage in the rNga khog region of eastern Tibet, corresponding to modern-day rNga ba (Chinese Aba) Tibetan Autonomous Prefecture in Sichuan Province. This hermitage was the nucleus of a religious center that would culminate, in 1168, in the foundation of Nangshig (sNang zhig) monastery. sNang zhig has survived centuries of sectarian rivalry and political uncertainty to become the largest Bonpo monastery in the entire Tibetan cultural region. 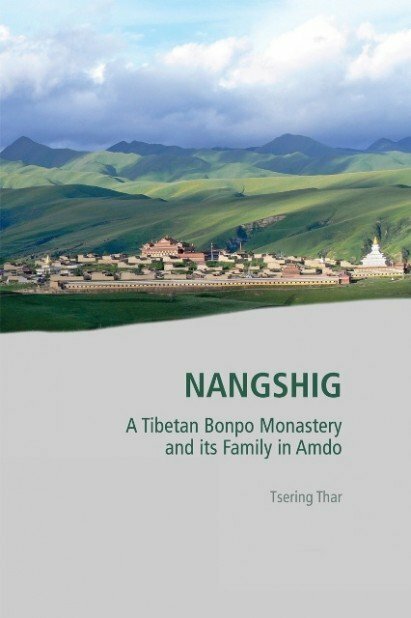 The result of years of textual enquiry and field-based investigation by an eminent Tibetan scholar, this volume—the first monograph of a Bonpo monastery in the PRC—represents an important contribution to the cultural and religious history of Tibet.